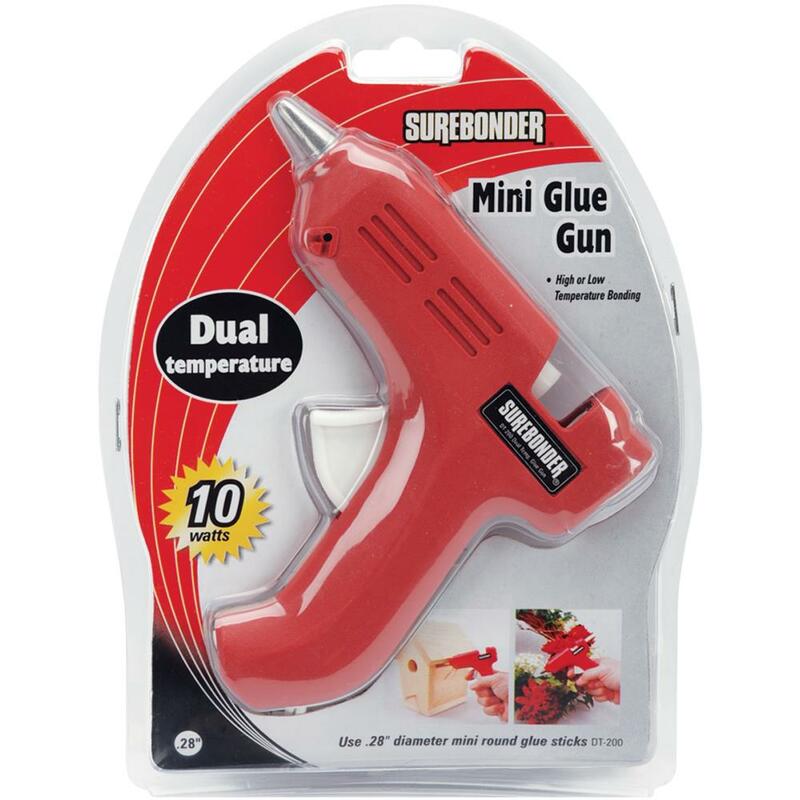 FPC CORPORATION-Surebonder Dual-Temp Mini Glue Gun. 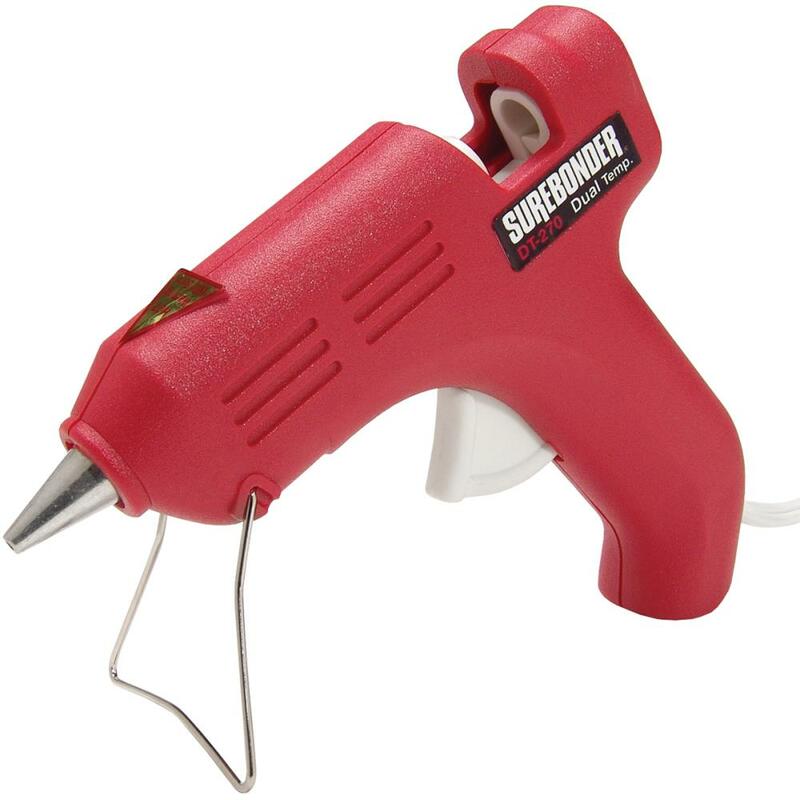 High temperature glue gun is ideal for hobbies, arts and crafts, and repairs on a variety of materials including wood, metal, plastic, leather and more. Low temperature is best on lace, ribbon, floral foam, lightweight fabric and other delicate materials. Change the setting simply by flipping the switch on the handle of the gun. This package contains one Dual-Temp 10 watt Mini Glue Gun (measures 5-1/2x3-1/2x1in) with attached power cord (UL Listed E246769) and instructions for use. Uses 0.28in diameter mini round glue sticks (not included). Color: Red.